Their beer won awards and plenty of raves on websites like BeerAdvocate and RateBeer. But the biggest news 10 Barrel Brewing made was being acquired by Anheuser-Busch (A-B) last November. 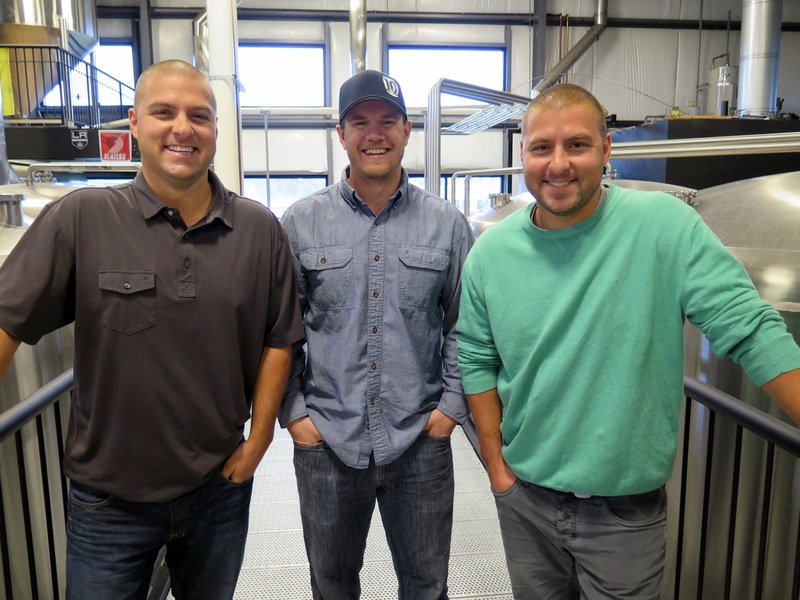 Now this Bend, OR brewery is rolling out their beer into the San Francisco Bay Area. That’s right, technically the same outfit, A-B InBev, that brought you Lime-a-Rita now brings a brewery known for eclectic experimental beers to the Bay Area. Let that sink in for a moment. 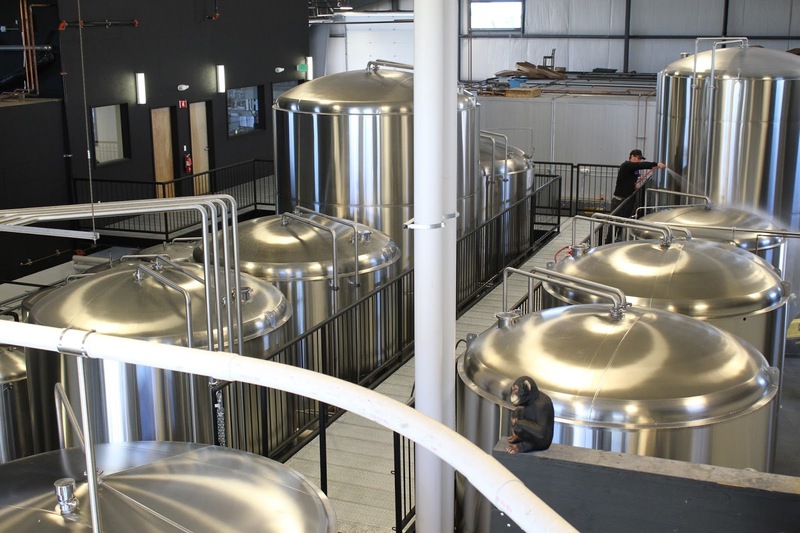 So what sort of beers can we expect from 10 Barrel here in Northern California? And how has the A-B acquisition factored into all of this? I spent a few minutes chatting with 10 Barrel co-founder Chris Cox about these and other questions and here’s what he had to say. Tell us about your Northern California Roll Out. What beers will we see? We’ve been planning to move into Northern California for two years. We came down June 9thto San Francisco to introduce our beers to the area and are excited about the next time we can come down to the Bay Area and have some fun. There will be four beers to start with in the Bay Area. First, will be our flagship Apocalypse IPA. You can also find our Joe IPA and DUB, a Double IPA, and Cucumber Crush, part of our Crush series. We’re coming down to the Bay Area with our best. The credit goes to our brewers. Tonya Corbett runs our Sour program and we have a “Crush” series where we continually add fruit additions to the barrel during the fermentation. For this one, we started with a Berliner Wiesse and added cucumber to it. It has a really refreshingly light sourness, and definitely a good “after work out” beer. How did the A-B acquisition affect your plans to distribute into the Bay Area? It didn’t affect the roll-out. Actually, the acquisition probably set it back a couple months since a lot of things were put on hold initially once the deal closed. We really like the Bay Area and we’re looking forward to coming down often. It gives us the chance to eat some really good food and drink some of the other great beers brewed in the Bay Area. What does 10 Barrel have to offer to Northern California that already has plenty of good breweries? We think we have great beer, too. We’re just looking to come down, sell some beer and have some fun. What’s fun for us is to get involved in communities where there’s a lot of good craft beer. We just started distribution in Colorado for the same reason. That’s fine with our parent A-B, as they haven’t given us any sales targets. Really? Corporations always have goals and sales targets. A-B really doesn’t give you sales targets for these roll-outs? A-B works with us as advisers and they help support us a lot with distribution. As regards to goals and sales, we do the same things today we did last year. We’re actually less aggressive at sales than we were a year ago and just as focused on the beer and really ingraining ourselves in each market. All the decisions remain here in Bend and its business as usual. They’ve gotten involved in a number of critical business matters than don’t have a lot to do with actually brewing the beer. It’s given our team the opportunity to really focus on the beer and not on things like accounting or buying glass in volume quantities. The A-B acquisition allows us to focus more on the things that got us started brewing beer in the first place. Now that it’s been over six months since A-B acquired 10 Barrel, how else have things changed? Any surprises? Well, I do attend more meetings and participate in more conference calls than I used to. There’s that. One great thing is it allows us to source raw materials that we couldn’t get before. We used to brew Joe IPA only in small quantities at our brewpub in Boise because we couldn’t get enough hops for larger production batches. A-B helped us get the quantities of hops we needed so we could brew in larger volumes so more people can drink it. Joe IPA has gone on to win Gold in the American India Pale Ale category at the North American Beer Awards and fourth in the National Beer Championships this year. Any beers besides the four you mentioned we’ll see in Bay Area you can talk about? There are three or four other beers we’re trying to get approved for sale down here. One of them you’ll certainly see in the Bay Area is Pub Beer, an American Craft Lager. You can see we give our beers really imaginative names. Chris Cox is clearly enjoying this honeymoon period with A-B, sounding relaxed and very confident over the phone during the interview. While “selling some beer and having fun” may be sufficient to A-B management for now, there will likely come a day when A-B’s investors start asking tough questions about the 10 Barrel acquisition to A-B executives. Answers like “Well, they’re selling some beer and having fun” probably aren’t going to go over too well on Wall Street. But it’s important to realize the size of the 10 Barrel acquisition is basically a rounding error on A-B’s spreadsheets, with A-B having far less to gain by squeezing a few extra dollars out of 10 Barrel through heavy handed management tactics then they would lose from the negative fall-out from very public acquisition failure. With that in mind, A-B’s hands off approach makes a lot of sense. There’s so much historic fear and loathing directed toward A-B in the craft brewing community the automatic reaction to this and other similar A-B acquisitions was that A-B would simply gut the brewery and dumb down the beer. Few considered the opposite outcome, where A-B would provide resources otherwise unavailable to the smaller brewery to allow it to really prosper. Whether the former or the latter happens with 10 Barrel is still an open question. The good news for the Bay Area beer community is that we get to try some new highly acclaimed beers and ultimately get to vote on the success or failure of A-B’s acquisition of 10 Barrel with our pint glasses.